Z71, Heavy-Duty Trailering Package, Spray-On Bedliner, 17 inch Aluminum Wheels, Wheel Flares! 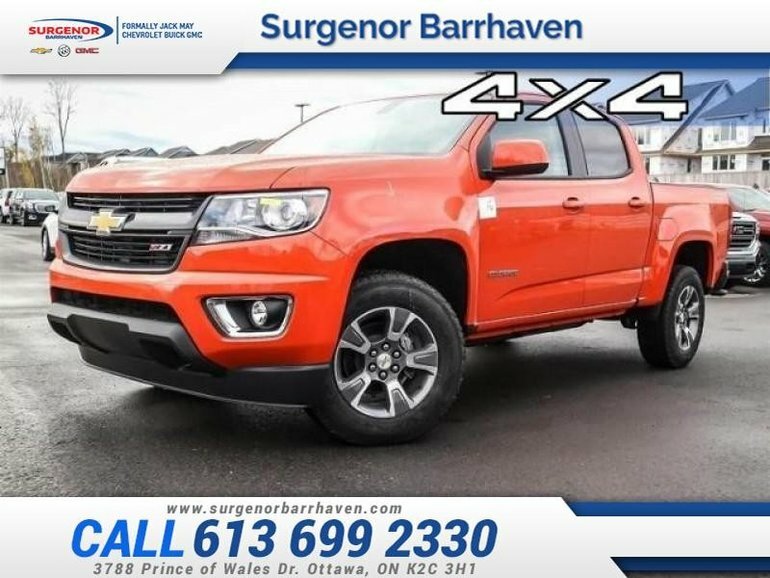 This crush crew cab 4X4 pickup has an automatic transmission and is powered by a 3.6L V6 24V GDI DOHC engine. 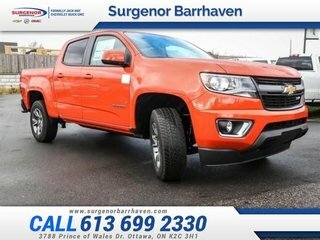 Motivated by that powerful motor it gets 14.1 L/100 km in the city and 10.0 L/100 km out on the highway according to Transport Canada. Our Colorado's trim level is Z71. 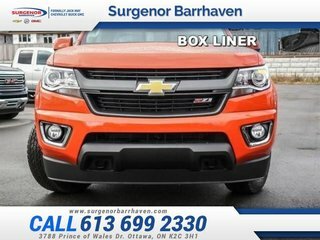 This Z71 trim is ready for the trail with Z71 off-road suspension package, automatic locking rear differential, hill descent control, fog lamps, EZ-Lift and Lower tailgate, remote start, heated power side mirrors, wireless device charging, and aluminum wheels. 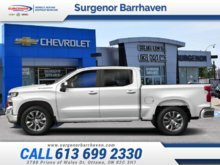 With an interior whose luxury matches the trucks capability, you get heated power front seats, driver information center multi color display, rear view camera, and Teen Driver Technology, automatic climate control, remote keyless entry, auto-dimming rearview and side mirrors, heated leather steering wheel with audio and cruise controls, and Chevrolet Connected Access for comfort and convenience, and an 8 inch color touchscreen with 4G LTE WiFi, Apple CarPlay and Android Auto compatibility, wireless charging, Bluetooth. 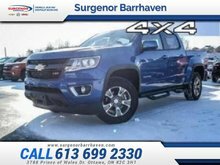 This vehicle has been upgraded with the following features: Z71, Heavy-duty Trailering Package, Spray-on Bedliner, 17 Inch Aluminum Wheels, Wheel Flares, 3-inch Round Off-road Step Bars. 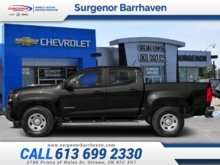 Interested in the 2019 Chevrolet Colorado Z71 - Z71 - $287.54 B/W ? $43,325 * Plus HST and licensing. Freight & Fees Included. $46,095 * Plus HST and licensing. Freight & Fees Included. 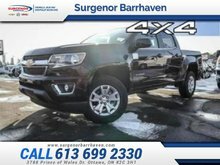 $44,995 * Plus HST and licensing. Freight & Fees Included. $49,820 * Plus HST and licensing. Freight & Fees Included.